This very elegant china double inkwell is by the English company Booths. 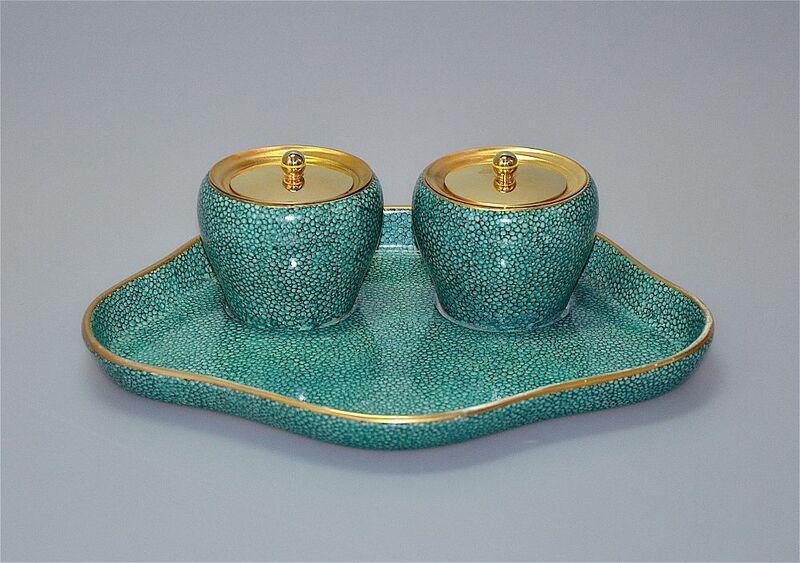 It is decorated in a pattern that looks like green shagreen. The inkwell has a shaped tray with raised sides and two integrated ovoid inkwells with gilded tops and wells. 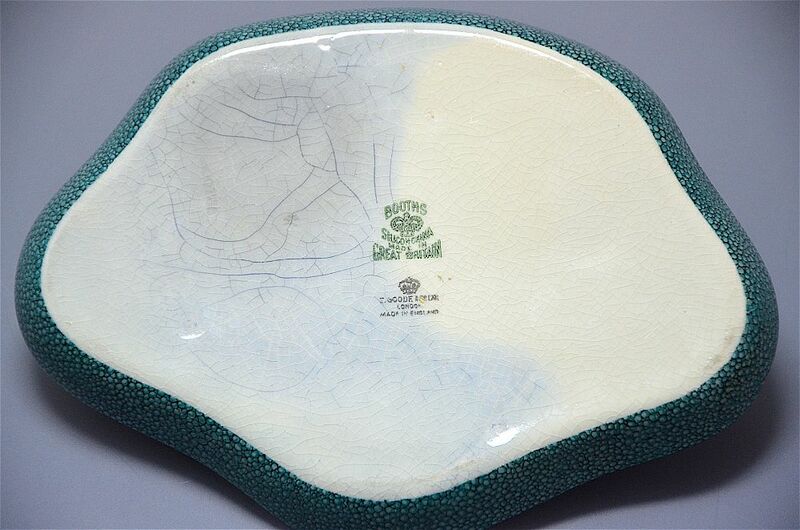 The base is stamped with a crown and "Booths Silicon China Made in Great Britain" There is a further stamp being a crown and "T Goode & Co London Made in England". There is also an indecipherable embossed stamp. T Goode is a department store in South Audley Street London and would have retailed this item.